What’s your ultimate dream car? Is it the Jaguar F-Type? Ford Mustang? Or perhaps you yearn for white-knuckled thrills while driving in a red Ferrari? For me, it’s the sleek and high-tech design of the Tesla Model 3. There’s just something remarkable about a car that can fix itself with “over the air” software updates while the car sits firmly on the owner’s driveway or parking lot at work. For all the excitement about Tesla’s styling and speed, it’s clear that what is truly revolutionary about Tesla – what sets it apart from older competitors – is that its cars are massive data collection devices, using data to optimize performance, refine future improvements, and being instantly adaptable to new circumstances. For instance, in September 2017 when Hurricane Irma wreaked havoc across Florida, devastating thousands of lives, Tesla remotely altered the battery capacity of its customers’ cars that were in close exposure to the storm’s wrath. This temporarily extended the driving range of the owners’ vehicles, helping them avoid potential hazards without needing to recharge the battery as frequently. So how is it that Tesla, founded in the year 2003, is now one of the leading automotive companies in the world, sharing lanes on the roads with long-standing giants like Ford and General Motors? Part of the reason is that just like Apple, Google and other tech titans that have forever changed the world of work, Tesla has long established its sweet spot of mining data (from its self-driving cars) into gold. Its technology demonstratesthat innovation today means making better tools – for getting around, for mobilizing networks, for performing tasks that can be optimized through AI and IoT – like the ability to run remote car diagnostics on its customers’ cars, saving them time and money that would have otherwise been spent at a service center or dealership for additional repairs. While Tesla puts data-first solutions on the roads, another transformative technology is doing the same in the skies. The incredible growth in enterprise drone use is fueled by data, as they use sensors to acquire information about their surroundings, adjust to their environment and provide outside-the-box solutions to serve people. Drones pioneer an entirely new category of tools. They glide through the air but they’re not like traditional aircraft. They can carry materials – and someday people – but they’re not like cars or trucks. The professionals putting drones to work already haven’t bothered to find an old-world analogy; they see drones as entirely new systems to capture data. Depending on the application, drones can help firefighters identify harmful substances in hazardous materials, and enable inspection personnel to capture high-quality visuals to spot defects on power lines before they cause problems. By using thermal cameras, they can even assist rescue workers locate car crash victims in distress. 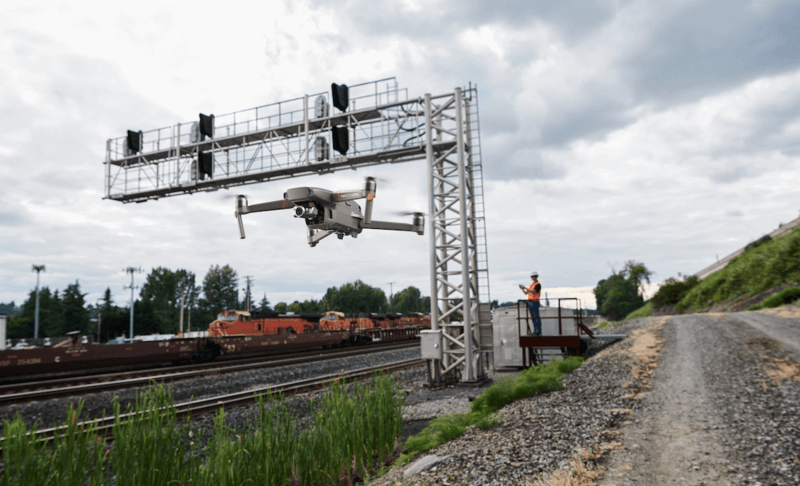 In such cases, not only do drones deliver actionable insights but they also help professionals perform their jobs safer, more efficiently, and at a fraction of the cost when compared to traditional methods. Because of this intrinsic value, more organizations including Fortune 500 companies from various industries such as construction, public safety, infrastructure and more are taking to the skies, bringing new and better ways of accomplishing tasks and solving problems with drones. 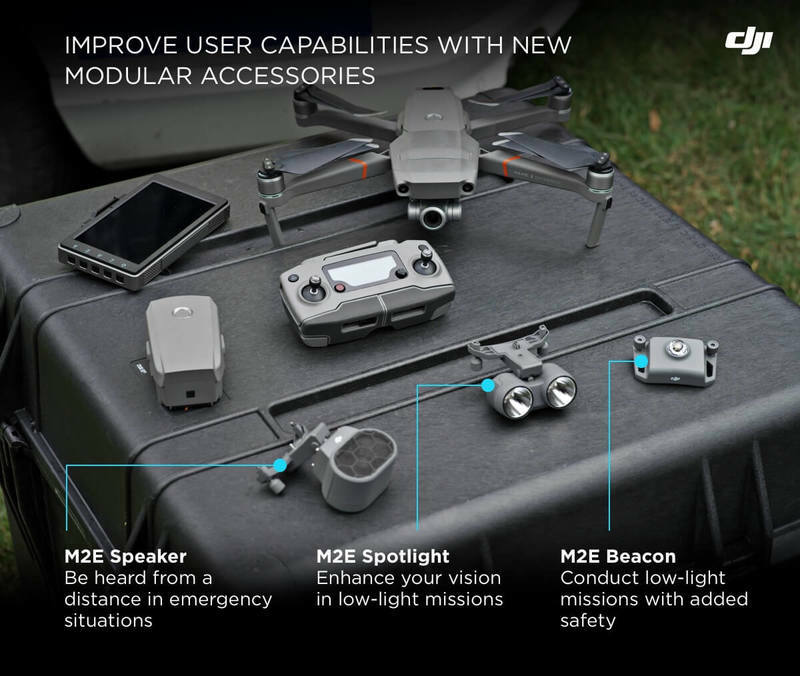 The new Mavic 2 Enterprise is DJI’s most compact and powerful drone built for commercial users – for applications in search and rescue, inspections, fire response, law enforcement and more. 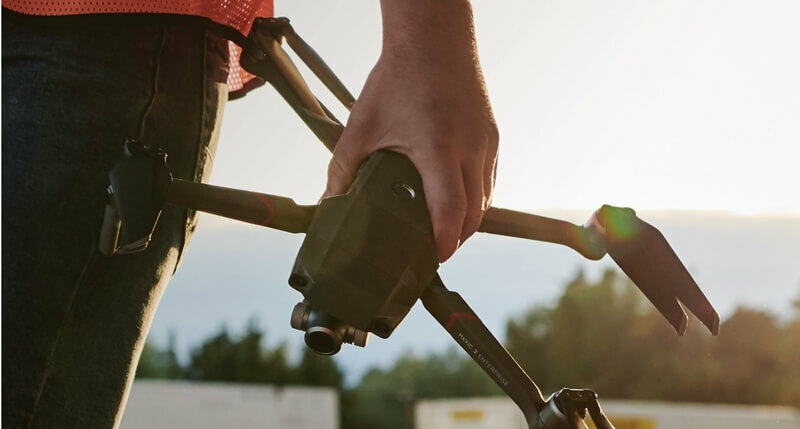 Leading this wave in the evolution of tools for the commercial drone industry is DJI, providing platforms of the future for a new generation of industrial professionals. DJI’s new Mavic 2 Enterprise is the ultimate expression of how drones are becoming an everyday tool for enterprise. With expansive features like the modular accessories, dynamic zoom, password protection, AirSense and OcuSync 2.0, the Mavic 2 Enterprise is purpose-built to generate data that helps professionals do their work better and safer than ever before. New modular accessories quickly attach on to the Mavic 2 Enterprise to extend user’s sight or voice, and enhance safety. As the automotive world has learned with Tesla, gathering data is a key feature of any new tool – and when that data can be quickly and easily analyzed for insights and immediate action, that tool becomes immensely more valuable. DJI has put that principle into action in the air. Whether doing work on construction sites or fighting wildfires on the front lines, the Mavic 2 Enterprise is a testament to DJI’s commitment to reinventing tools that empower men and women, businesses and organizations, to reshape the world of work.